While this is our first-ever podcast, Discoveries is actually entering its 17th year of broadcasts. In the fall of 2002, the Fleisher Collection of Orchestral Music at the Free Library of Philadelphia launched Discoveries from the Fleisher Collection as a monthly program to "uncover the unknown, rediscover the little-known, and take a fresh look at some of the remarkable treasures housed in the Fleisher Collection of Orchestral Music in the Free Library of Philadelphia" on Philadelphia’s classical and jazz radio station, WRTI. Jack Moore and I hatched the program over lunches at the Rose Tattoo restaurant, behind the Free Library, and our first program aired September 7th, 2002, with works by William Henry Fry, Lou Harrison, and Jules Massenet—I still love that combination! Jack and I co-hosted all those 16 years, with one exception, when I handled hosting myself in an emergency. Jack was the professional, was the veteran, and working with him made it so easy for me. I was nervous at first, as I had never been on radio before, except for being interviewed once or twice. But this was different. I programmed the shows and wrote up essays on them for the websites and to email ahead of time to listeners. Jack handled all the intros and outros, even as I did most of the talking. Jack’s as smooth as can be, and got me out of tight spots here and there, when I’d dive into a sentence and couldn’t figure out any way back to the surface. We pre-taped all the shows, which also gave me a level of comfort, but it shouldn’t have, because I can’t remember that we ever fixed anything. I planned what subjects we’d cover and when, but pretty much, we opened the microphones and that’s how the show went out. I think that gave it a lively sense, and as Jack and I get along great, people told us that came across, too. I think it was good radio. So I want to thank Jack Moore from the bottom of my heart as Discoveries moves into its new chapter of being produced as a podcast by the Fleisher Collection and the Free Library of Philadelphia. Gary Galván, the Curator of the Fleisher Collection since 2014 but doing work there since 2006, is so committed to continuing Discoveries and using it as a resource for furthering the mission of the Fleisher Collection. Gary’s doing tremendous things, accelerating its recording and score editing projects, re-establishing ties to Cuba and to Latin American composers, and much, much else, which we’ll cover as we go forward. One hundred ninety-one shows later, here we are! Women composers have been in the news here in Philadelphia as we go to broadcast, since the Philadelphia Orchestra was recently taken to task at the unveiling of its 2018/19 season, which included no women composers. They have since rectified the situation, but this provides context to the work the Fleisher Collection has been doing since its founding in 1909. We’ll hear Florence Price’s first Symphony, in E minor. The year was 1933, and the orchestra, the Chicago Symphony Orchestra. Chicago was no accident for this honor, by the way. New York had its Harlem Renaissance of African American writing, art, and social consciousness, and the Chicago Black Renaissance followed not too long after. Florence Price was in Chicago then, and would die there 20 years later, but she started out in Little Rock, Arkansas. Her father, born in Delaware, had studied dentistry in Philadelphia and had set up shop in Chicago, but the 1871 Chicago Fire put an end to that and many other businesses, of course. He moved to Little Rock, where Florence was born in 1887, the youngest of three children. One of Dr. Smith’s patients was the governor of Arkansas. Florence’s mother was a music teacher, meaning Florence Price has something in common with jazz trumpeter Miles Davis, who also had a dentist father and a music teacher mother. Her parents were a mix of races. Her mother was French, Spanish, and Native American, and her father, African American, Native American, and English. When Florence’s mother filled out the 16-year-old’s application to the New England Conservatory, she listed Florence’s birthplace as Pueblo, Mexico. The Conservatory was one place accepting African American students, but Florence was light-skinned, and her mother thought making her daughter appear Mexican would help her chances. In any event, she did well at NEC, studying with George Chadwick and Frederick Converse, and began working African American material into her music, including the Juba dance, popular with Blacks in the South and the Caribbean. A Juba Dance will find its way into the third movement of her Symphony. Florence Smith went back to Arkansas to teach, then to Atlanta, where she headed up the music department at Clark Atlanta University, and where she married the lawyer Thomas Price. They moved to her hometown of Little Rock and raised a family, but race relations had been deteriorating throughout this time of the early 20th century. The Great Migration of Blacks from the South to the North and Midwest and West accelerated through the ’20s, and in 1927, the Prices moved to Chicago. She and her husband divorced, but Florence and her children moved in with her friend and student, another composer, Margaret Bonds. She continued her studies, including with composer Carl Busch, whom we met recently on Discoveries. And then, Price entered two works into a music contest funded by Rodman Wanamaker, the son of John Wanamaker—there’s another Philadelphia connection—who not only expanded the store empire and built up its famous Wanamaker organ, but who among his many philanthropies aided the education and advancement of Native Americans and African Americans. Florence Price’s Piano Sonata and Symphony both placed first in their categories, winning her $750. Frederick Stock, the conductor of the Chicago Symphony, who was also a composer and fond of new music, programmed the Symphony for the Chicago World’s Fair of 1933. The score and parts for the Florence Price Symphony in E minor came to the Fleisher Collection in 2004 from the Women’s Philharmonic, along with its entire performance library after it had disbanded. I traveled to San Francisco to do a quick listing of the contents and to ship them back to Philadelphia, where they’ve been fully cataloged and are an honored part of the Fleisher Collection of Orchestral Music. This recording is by the New Black Repertory Ensemble, conducted by Leslie B. Dunner. Florence Price, the Symphony in E minor. It was an honor to begin our first Fleisher Discoveries podcast with this historically important work. When Frederick Stock conducted its premiere in 1933 with the Chicago Symphony Orchestra, it was the very first time a major orchestra had played any music by an African American woman. To listen to the new Fleisher Discoveries podcast, visit our new Soundcloud channel or listen via the embeded sound file below. To be notified of when new podcast episodes go live, you can signup for a Soundcloud account—or if you already have one—and follow the Fleisher Discoveries Soundcloud channel. For mobile listeners, you can download the Soundcloud app for both iOS and Android devices. Fleisher Discoveries is the Fleisher Collection's new podcast! Listen and stream via Soundcloud on any desktop computer or mobile device! 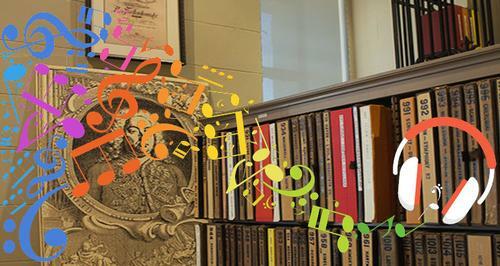 Add a Comment to The Fleisher Collection Debuts a New Music Podcast!